Feeling stressed? Need to find a way to clear your mind and re-focus your thoughts? Well fear not, we have just the thing! Studies have shown that colouring is a therapeutic pastime with relaxing benefits similar to those achieved through practicing mindfulness. It’s also just quite good fun. 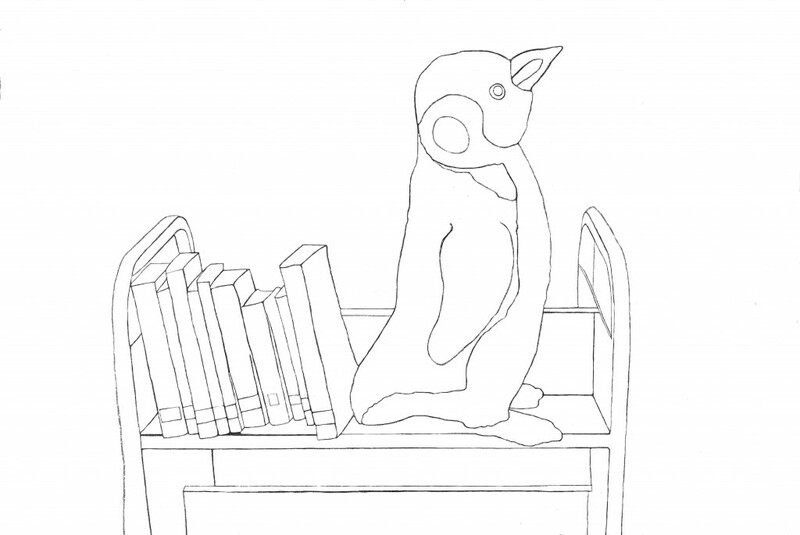 So we’ve created something a bit special – our very own library colouring book! 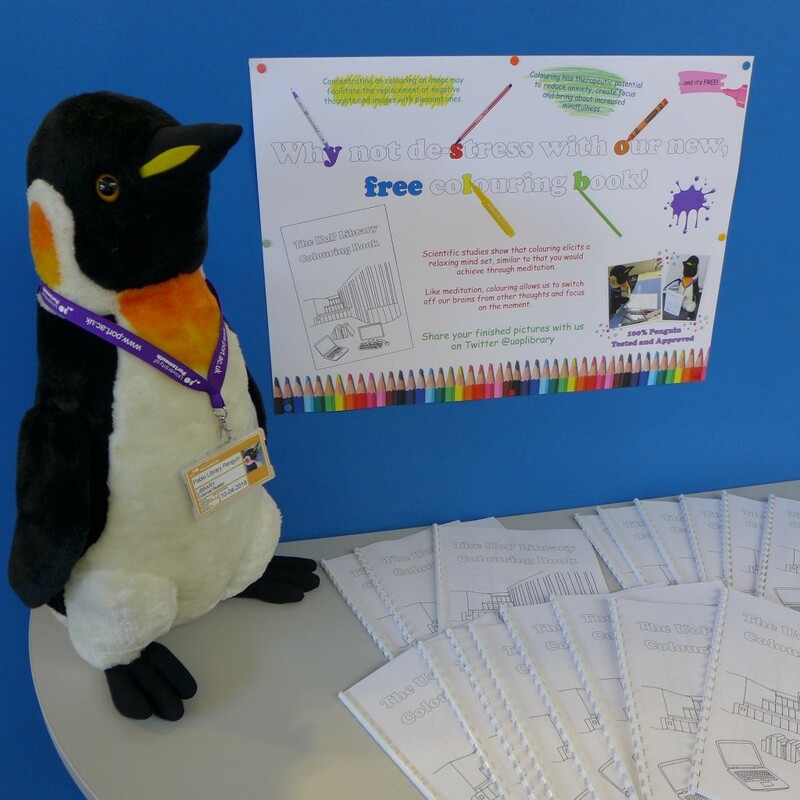 It features a selection of images and quotes for you to decorate, including a couple of our resident penguins! Plug over… now for the reflective bit. It turns out that creating a colouring book isn’t quite as easy as I thought it would be when I first thought of the idea. Yes, there are magical tools on the computer which will help with turning photos into black and white pictures, but who wants to colour over a whole lot of greyscale, or be distracted by all the weird splodges and detritus that gets left behind when you try to remove backgrounds using “intelligent” tools? Careful selection of the images is therefore *really* important! There were some I wanted to use which it turned out just weren’t going to work as colouring pages. I had to learn when to give up on these. I also had to accept that as something of a perfectionist, there were limits to what I could achieve. I quickly realised that the best colouring pictures are those where there are clear, distinctive shapes, bold outlines, and less fiddly detail. 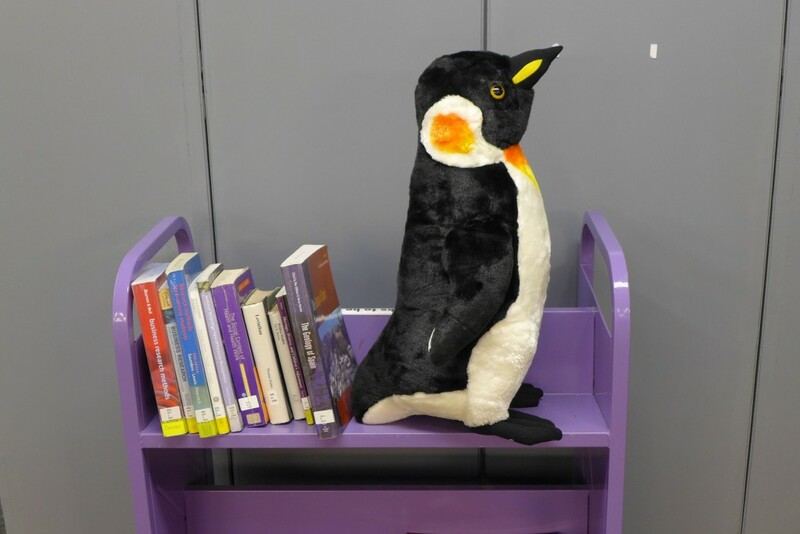 The image of the penguin on the book trolley originally included book titles on the spines, classmarks, and suchlike. Even after successfully editing these to create outlines, the whole thing remained too cluttered. And lets face it, creating your own titles is probably more fun anyway. Testing was also important. I gave draft versions of individual pictures to my colleagues, friends and family to see whether they enjoyed the colouring experience. In one case, this led to a picture being removed. It was fine, I wasn’t precious about them. If they worked, they worked. If not, they went in the recycling bin. And now I’ve let the whole thing out into the wild, to be coloured, used, and judged by its target audience. I hope they/you like it. And that it helps. I’m only sorry I couldn’t have given you some felt tips too.